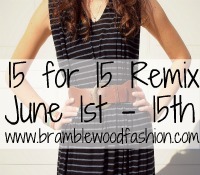 Come June 1st I'm going to host a 15 for 15 Remix challenge. Last summer I did the 30 for 30 Remix and it was lots of fun and challenging. If you don't know what the 30 for 30 Remix is let me tell you. You pick out thirty pieces of clothing & shoes total and you have to come up with 30 different outfits in 30 days. In this item count you don't include jewelry or accessories. You can also decide to not do any shopping during this challenge - I did last year. 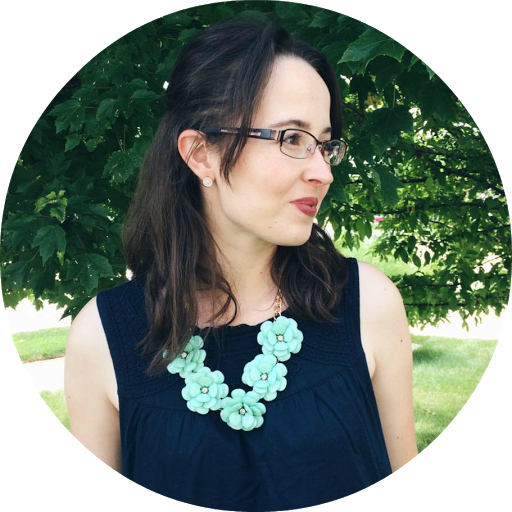 This summer I decided to cut down the days from 30 to only 15, hoping that maybe some of you would like to join in the fun for this will be my summer blog event. 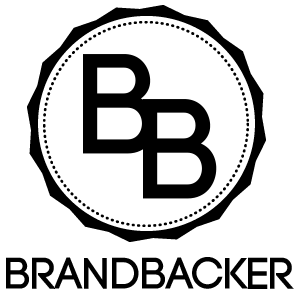 Also you can read all about the event on Kendi's blog who started this whole idea. In my next post I will show what 15 items I'll be using for the challenge, which will be interesting since I have a baseball game & High-School graduation to attend. Which reminds me, think about what events you have going on during those 15 days when picking out your items. If I could figure out a way to take photos without enlisting help, I might try this. 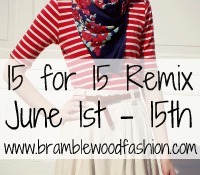 We will most certainly be apart of the 15 for 15 remix. Thanks so much for hosting! This sounds like fun! I'm going to try it! @Joanna Ooooh. That sounds like a wonderful idea! Sounds awesome! I'm totally doing this! I'm going camping probably during those days...so I'll probably put my outfits up when I get back. sounds FUN!!! i will have to try this :) when is this starting?